Improving pump reliability is essential to all organisations that want to reduce operational costs and increase profitability. One of the first areas to show failure in a pumping system is the mechanical seal. However in the majority of cases this is an indication that there is an issue somewhere else in the pumping system. To help maintenance and engineering professionals to identify these issues and improve their pump reliability, we have produced a series of 5 pump reliability videos. 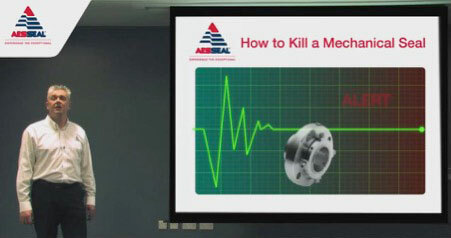 These videos aim to equip the viewer with a range of troubleshooting techniques that will help identify the factors that can cause poor pump reliability before they cause failure and downtime. Sign up today and see how you can improve your pump reliability.